In 2007, more than 50 dogs were seized from the Virginia property of Michael Vick, now the New York Jets backup quarterback, who was funding a dogfighting ring. 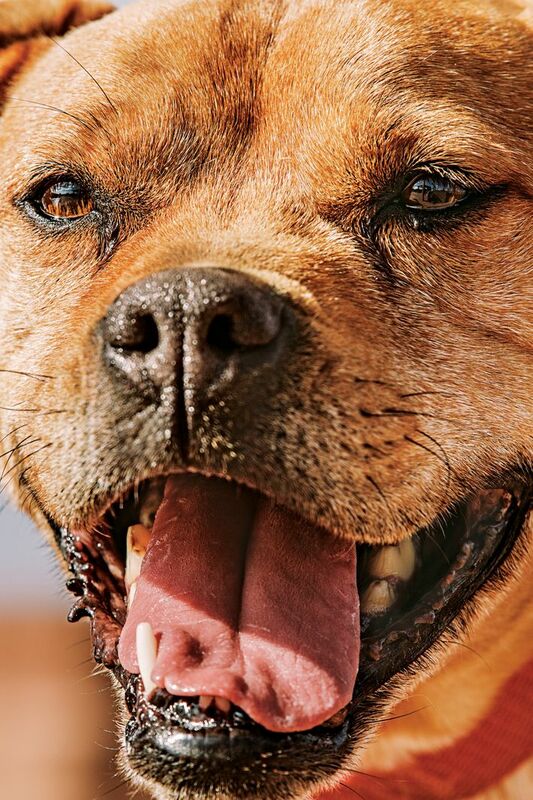 Dogs who lost had been horrifically killed—by electrocution, drowning, hanging—but champion dogs didn’t fare much better. One, Lucas, contracted a blood disease—via open wounds—so acute that he had to be euthanized. You can find a headstone for him at Best Friends Animal Society’s sanctuary, in Utah, which was tasked with trying to rehabilitate the 22 most challenging “Vicktory Dogs.” Animals rescued from dogfighting rings are often deemed too dangerous to live with humans, but only one from the Vick case was put down for being violent; many have been adopted. 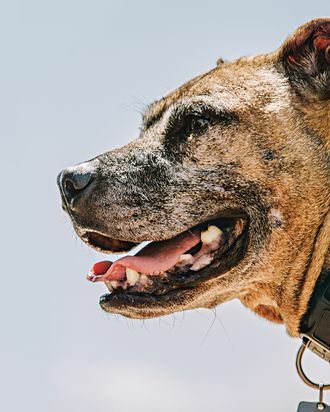 The dogs, all pit bulls, have been trained, with varying degrees of success, in how to maintain their cool when confronted with stimuli that might trigger aggression or fear. *This article appears in the September 22, 2014 issue of New York Magazine.